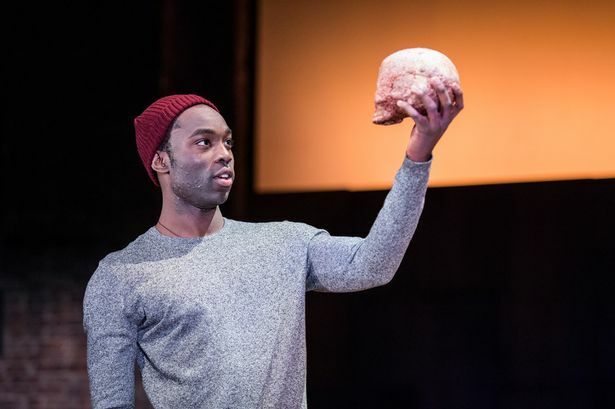 Compared to the repetitive versions I’ve seen of Hamlet, Paapa Essiedu’s spectacular performance is breathtaking, giving the needed colour to the role of Hamlet. Being a predominately black cast, the essence of an African Republic is used over the normal northern Europe setting. 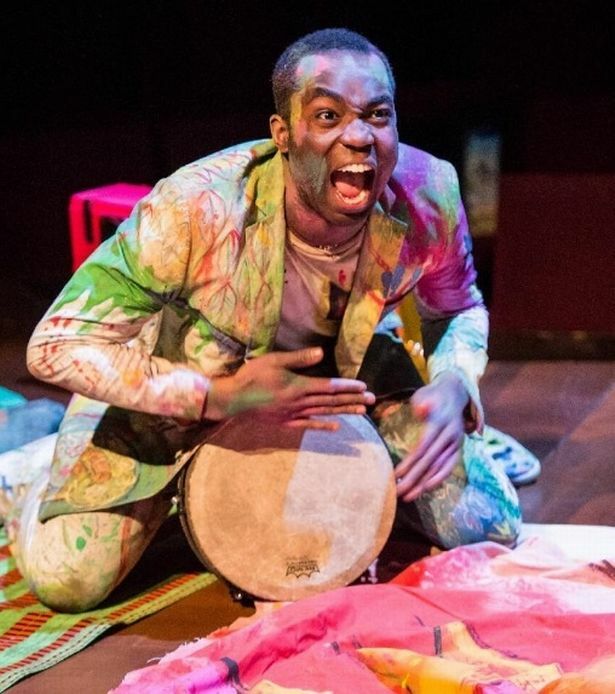 With drums, graffiti and lots of colour, the RSC production bring the words to life, in a modern and stylistic twist. Being the first black actor the RSC awarded the role to, Paapa Essiedu’s award-winning performance is one that sets the bar for all RSC productions to come. With colourful and bright costumes and set (designed by Paul Wills), the piece is a marvel and makes the famous work by Shakespeare engaging and relatable to the young community. The highlights that were well received by the audience were the Grave Digger, played as a West Indian by the highly amusing Ewart James Walters, as he mixes up the classic skull scene and making it entertaining and humous. Mimi Ndiweni’s portrayal of Ophelia was simply stunning, and the use of music and song as she grew to become mad at the loss of her father was utterly terrific. The delivery of the spoken verse and the mixture of song and music creates a moving, gripping and dramatically electrifying and terrific piece of theatre.